Mumbai-based Nazara Technologies Pvt Ltd, a mobile games developer and publisher, has launched a seed stage fund focused on the gaming space. The fund will make investments in early stage game developers, as well as other companies working in the gaming space, with a bias towards mobile and Indian developers working on both global and India specific themes. The fund will invest between Rs 25 and Rs 50 lakh in exchange for a stake, which will be decided depending on the startup. It is looking to make six-eight investments in 2014, and the same number in the following year. The initial fund size is Rs 5 crore, with an additional Rs 5 crore to be made available once the first fund is exhausted. The company itself is providing the entire amount for the fund. "The Rs 5 crore is entirely Nazara's money. However, we are also tying up with other funds who want to co-invest with us; so the collective amount can end up being upwards of Rs 20 crore," Nitish Mittersain, founder and CEO, Nazara Group, told Techcircle.in. 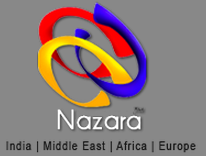 Initially, Nazara will setup an investment committee, which will comprise senior Nazara management, with inputs from participating funds as well. As the fund evolves, dedicated investment managers will also be roped in. Going forward, the company will also announce a roster of mentors that will include experts in the gaming space in India and abroad, in order for the investee companies to get access to/and learn from them. Earlier this year, the company had partnered with Opera Commerce, a fully owned subsidiary of Opera Software, to deploy a mobile payment solution (called Opera Payment Exchange) for Opera Mini users in India, Africa, Middle East and Europe. One97 Mobility Fund: An early stage tech investment arm formed by One97 in association with its private equity investor SAIF Partners. The fund typically invests $500,000 to $5 million across seed and early stage opportunities, and has invested in 12 startups so far. While the fund had been investing in startups with niche products and was sector-agnostic; in June 2013, it moved away from being sector-agnostic and is now focusing only on the mobile space. M2X Fund: In September this year, India- and Singapore-based digital media firm Affle, in partnership with Mobile Marketing Association (MMA), had launched M2X Fund, a $3.3 million (Rs 20 crore) corpus fund that will be used to invest in brands, publishers, app developers, agencies and startups in the mobile sector. The entire capital has been put in by Affle and the company is planning to use the amount in a year, post which it will evaluate and decide whether to continue with more tranches of the fund or not.